Botox® Cosmetic and Dysport® are similar products used to treat the frown lines between the eyebrows, wrinkles of the forehead and “crow’s feet”. Derived from botulinum toxin type A, a biological toxin, both Botox and Dysport offer patients a revolutionary way to combat the signs of aging with little to no downtime. Botulinum toxin type A has been around decades and has stood the test of time, proving to be a highly effective and safe method at reducing wrinkles and lines caused by muscle contractions. Recently a new neurotoxin has come on the market as well called Xeomin. This product is very similar in price and results. Both Botox and Dysport are injected directly into the muscles which cause wrinkles, paralyzing them temporarily to prevent certain movements and contractions. While Botox and Dysport are not permanent fixes to eliminating wrinkles, they are less expensive and non-invasive methods. Furthermore, unlike most surgical procedures, Botox and Dysport produce results within 3 to 7 days following the injections. For people who do not have the time to recover from a more intense procedure, Botox and Dysport are great alternatives. While both Botox and dermal fillers are facial injectables, they do not work in the same way. 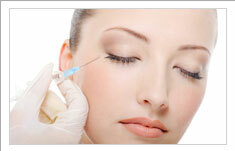 Botox is injected into the muscle to paralyze and prevent contractions during certain facial movements. It is this muscle inactivity which lessens the appearance of lines and wrinkles. Dermal fillers are injected to restore volume in areas of the face. As people age, natural collagen production decreases. This leads to a loss in facial volume, and skin can appear loose and sunken. Dermal fillers such as Juvederm replace the lost collagen and even stimulate the body’s own natural production. By restoring this volume, wrinkles and fine lines can be filled out. Botox and Dysport require no anesthesia and take less than 10 minutes to administer. After discussing the areas the patient wishes to target, the solution used in the injection is mixed fresh to enhance the potency. Then a small amount is injected into the muscles of those target areas. Patients may be asked to contract the muscles in the area being treated to delineate the area that is to be treated. After a couple days, the botulinum toxin relaxes and weakens the muscles, causing the wrinkles in those areas to soften or disappear. Since Botox and Dysport do not use anesthesia, there is almost no associated downtime. Patients will often leave and return to their normal activity immediately following the procedure, although you will be asked not to exercise or lie flat for several hours afterward. Potential side effects could include swelling or bruising of the areas targeted, and the possibility of a burning sensation during the procedure. On occasion, patients may experience nausea or a headache; however, the majority of these symptoms occur briefly. The results from Botox and Dysport may take a few days to a week to fully set in. The results are not permanent, and, therefore, regular treatments are recommended every three to six months, depending on the individual. Patient satisfaction for the procedure is extremely high as Botox and Dysport injections continue to be the most popular cosmetic procedure performed worldwide. The fee for Botox or Dysport is $275 or $475 depending on the areas and amount needed for effective treatment.